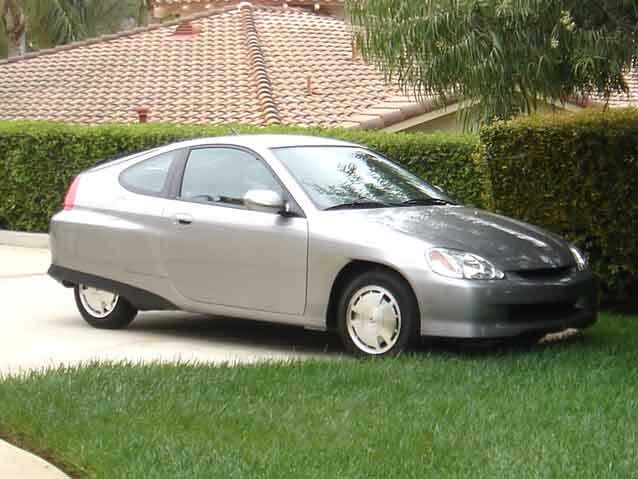 One of the highlights of my trip to California to attend the Honda Insight Homecoming was my first visit to American Honda headquarters in Torrance. 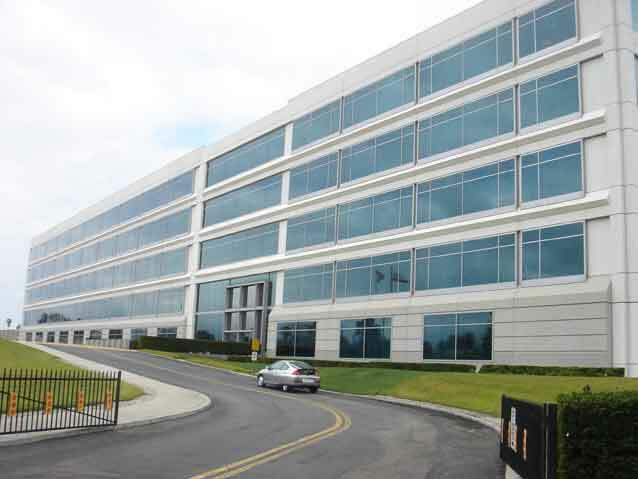 That is where I met my contact for the Homecoming event, Todd Mittleman, who presented me with the 2006 Honda Insight loaned to me so I could attend the Homecoming in style. When I first sat in the silver CVT, I noticed the odometer showed less than 3500 miles. That's when Todd told me that this Insight was the one Honda would be keeping to show at future special events. The Insight preserved to represent all Insight Classics ever made. In essence, Honda was loaning me a pristine museum piece that hadn't been driven in a long time. As honored as I was that Honda would entrust me to take this special Insight out onto the road again, the weight of responsibility was almost suffocating. Fortunately no one rear-ended me as I crept around the surface streets and freeways of LA and my paranoid driving style enabled me to achieve 66 mpg. I was happy when I returned this gem intact. After bestowing me with my Insight loaner, Todd introduced me to Charles Schnieber, Honda's Manager of Shows and Exhibits. Charles is a bonafide car guy, Honda-style (he loved his 1991 CRX as much as I loved mine) and we discussed many of the important cars Honda has produced over the years. Charles surprised me when he ushered me into the presence of a seminal Honda concept car, the GRX. I didn't have my camera with me so the photo above is from another source. The GRX was created by American Honda to demonstrate their idea of an ultra-light compact sport vehicle with a gasoline/electric hybrid power train. They borrowed the 1,500cc flat-six engine from the well-known Honda Gold Wing motorcycle to provide the primary power source. In 1997, the GRX became the J-VX concept car when the motorcycle engine was replaced with a specially designed inline three-cylinder engine which was supplemented with an ultra-capacitor powered electric motor. It was the first demonstration of Honda's ingenious Integrated Motor Assist hybrid system. Click here for more on the J-VX. 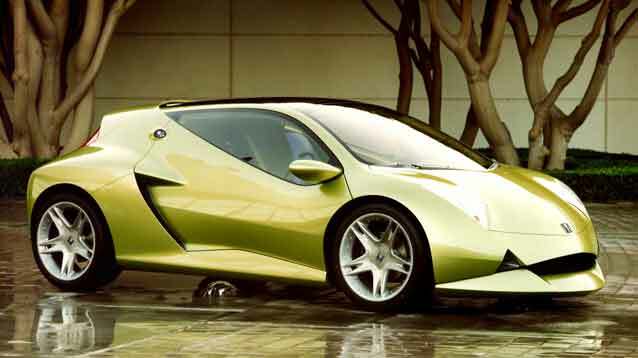 In 1999, the Honda VV Hybrid concept appeared at the North American International Auto Show in Detroit. 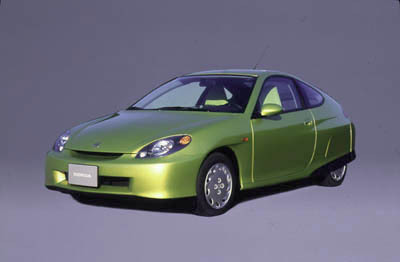 Due to the the high cost and limited storage capacity of ultra-capacitors (as used in the JV-X), Honda switched to a nickel-metal hydride (NiMH) battery pack to power the Honda VV, which, apart from different headlights and the lack of a rear wiper, was very close to the Insight that went into production in late 1999 at Honda's advanced Takanezawa plant alongside the Acura NSX and Honda S2000 sports cars. It was great to meet Charles, a Honda enthusiast and scholar (and he told me a visitor to Insightman.com, too). My huge thanks go to him for letting me get so close to the great-grandfather of my Insight Classics.